Bring warmth & class into your home or office with Sharp Wood Floors! Sharp Wood Floors is a full-service hardwood flooring company specializing in dustless hardwood floor sanding and refinishing, hardwood floor installation, stain and recoating, reclaimed wood, and much more. Sharp Wood Floors is a leading business in the hardwood flooring industry servicing Reno, Garnerville, Carson City, Tahoe, Truckee, Portola, Graeagle, Quincy, Sparks and surrounding areas. We bring the samples to you! We home-deliver hardwood samples for your convenience! Click below and we will contact you, or call us at (480) 338-8783. Get the rustic hardwood look today! We provide hardwood repair services and hardwood historical renovation for your home! We provide the materials to repair hardwood flooring, we will install new hardwood flooring (if necessary), and we provide state-of-the-art DUSTLESS sand and finish so that you can refrain from covering your walls and furnishings. 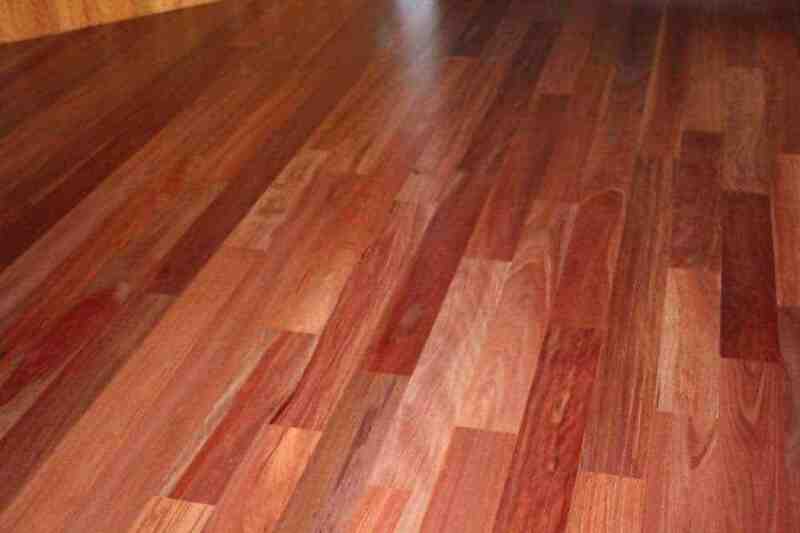 We conduct hardwood floor cleaning. We will service your hardwood floor with a light sanding and re-coat to bring life back to your wood flooring. We also Specialize in Refinishing wood Floors with state of the art equipment including a Dust Collection System to make your floor refinishing service a Dustless experience. We install hardwood flooring on site. You can choose from a variety of unfinished hardwood flooring styles. If you can dream it, we can mill it! Get the rustic hardwood look you have been going for! We remove your current flooring including hardwood floor removal, particle board removal, Vinyl removal, linoleum removal, ceramics removal, tile removal, and more. You don't lift a finger. We will take care of it for you! 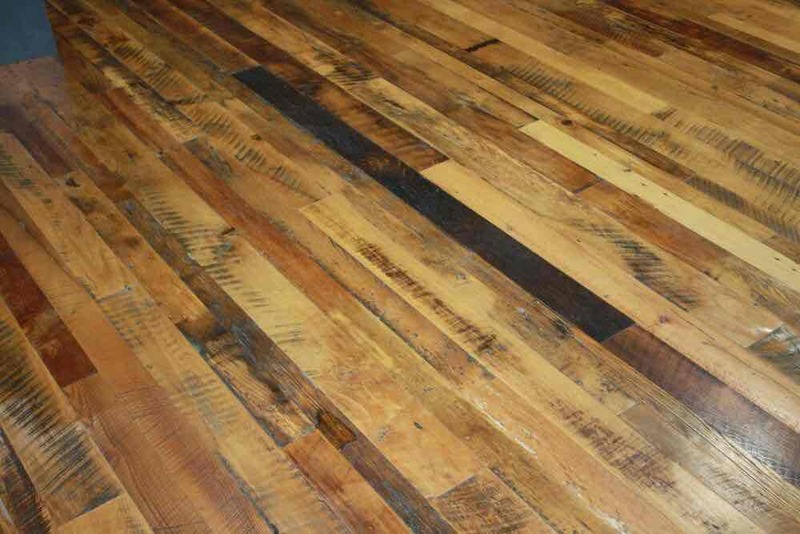 Custom milled flooring, rustic hardwood flooring reclaimed hardwood flooring, antique textured flooring, circle saw textured wood, reclaimed wood flooring, reclaimed wood floors, floating wood floors, artisan hardwood flooring and more! We provide hardwood repair services and hardwood historical renovation for your home! We repair hardwood flooring and provide state-of-the-art DUSTLESS sand and finish so that you can refrain from covering your walls and furnishings. We specialize in refinishing wood floors with state-of-the-art equipment including a dust collection system to make your floor refinishing service a dustless experience! Allergy sufferers can breathe easy when you work with Sharp Wood Floors! We offer wood floor cleaning of all types. We will service your hardwood floor with a light dust-free sanding, stain and re-coat to bring life back to your wood flooring. We are a premier Reno Nevada Hardwood Flooring Store/ Flooring Contractor Company that services all surrounding areas including Garnerville, Carson City, Tahoe North and South, Truckee, Portola, Graeagle, Quincy, Reno, Sparks and more. 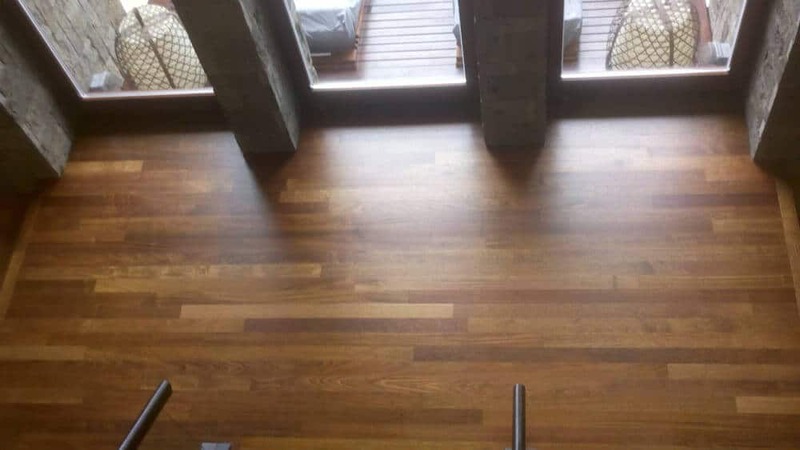 Our Flooring Company specializes in DUSTLESS (Dust-free) hardwood floor refinishing and we service all of your wood flooring needs from work as simple as hardwood floor cleaning, light sand and recoating, and hardwood floor installation. View our gallery of work projects here. Sharp Wood Floors will come to your home, examine your hardwood floors, and help you decide whether your hardwood floors need just a light sanding and recoat or a complete sanding and refinish. We provide you with stain samples to help you select the color that is perfect for your home. We offer GREEN finishes including Rubio Monocoat, Waterbase, Woca oil, and also offer Polyurethane, and Tong oil; we will provide you with the hardwood finish that works for you. We provide hardwood flooring materials, floor installation, wood floor repair, floor tear-out services, and hardwood floor renovation. Sharp Wood Floors also takes care of water, fire, and Termite damage repair. We work closely with many Architects, Interior Designers, Contractors, Real Estate companies, as well as home owners throughout Nevada and California. With three generations of hardwood flooring experience, we have consistently kept Sharp Wood Floors in good standing with our customers and have maintained an impeccable reputation for our workmanship. Available in many styles with a wide variety of features, hardwood flooring can complement any decor. 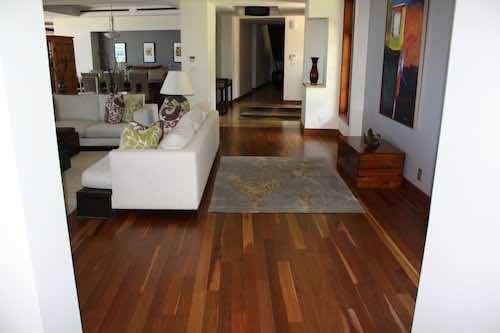 Hardwood enriches a home’s interior and adds much to its resale value. Take the time to compare the many possible floor coverings and consider their benefits over the long term. Think about the feel you want to give your home. Avoid imitations like thin Veneer engineered prefinished products – especially laminates that have only a slight “look” of real wood (photo/ land fill floors). Teak wood is great for certain projects. Natural is beautiful and stands out above the rest! You did a beautiful job for us and were so accommodating. Thank you very much! We’ll highly recommend you to our friends! Thank you so much for the beautiful wood floors that you put in Jim’s home. I truly enjoyed working with you all! You all did a very good job… we all love the floors!! Have a great summer!